At 3PL Center, we are a leading provider of third party logistics for a wide range of industries. We offer a complete suite of fulfillment services to move your goods and merchandise from our premium-level warehouses into your clients’ hands quickly, accurately, and efficiently. What’s more, we ensure that our fulfillment services are completed at a price that preserves your margins. There are many reasons why a great array of businesses uses our comprehensive third-party fulfillment services. For starters, our professionalism and attention to detail is second to none. We also have a consistent track record of providing on-time service each and every time since our inception. 3PL Center treats your products as if they were our own, and that’s why you can enjoy peace of mind at all times. E-commerce fulfillment: This is the process of receiving orders from an e-commerce website as well as the shipping, packing, and picking of merchandise for customers across the globe. The act of fulfilling orders that took place online is known as e-commerce fulfillment. Business to Consumer fulfillment: Also known as B2C fulfillment, this type of fulfillment refers to the fulfillment of orders to consumers rather than a business. Huge emphasis is placed on speed and accuracy in shipping as well as the provision of special features that guarantee customer satisfaction. Business to Business fulfillment: Also known as B2B fulfillment, this type of fulfillment refers to shipping in bulk supply for businesses. Businesses that require this service often procure products in advance so they don’t have to buy items on a daily basis. They may also need to supply merchandise and goods to another company for resale purposes. All the major shipping companies like FedEx, UPS, USPS, and most LTL Carriers have a terminal in our park or are within 20 minutes away. Same day pickups and last minute calls by you needing something to go out – we can make that happen! Why Should You Choose 3PL Center for Your Fulfillment Center Needs? At 3PL Center, we educate our customers that fulfillment services are vital to business growth. We continually strive to provide top-notch fulfillment services to small and large businesses at the best rates. When you work with us for your fulfillment needs, you will find that it’s easier to keep your inventory closer at hand. Whether you need to ship items such as luxury watches (fragile items) or items that weigh more than five pounds (e.g. bowling balls), our fulfillment solutions also cover the shipping of items that require light assembly and customization. With a combined experience of more than 45 years in the industry, we understand that preserving the original quality of your goods and merchandise is extremely important before delivery. That’s why our warehouses are equipped with the most current warehouse equipment, which includes a robust security and fire protection system. What’s more, we have a team of professional and experienced warehouse employees that will handle your items with utmost care. 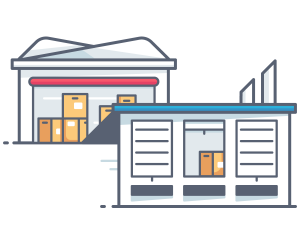 Ready to Get Started with Fulfillment? If you are seeking third part fulfillment services for your business, don’t hesitate to contact us today. We can work out a 3PL fulfillment plan that suits your specific needs perfectly.